ONLINE: K.S. 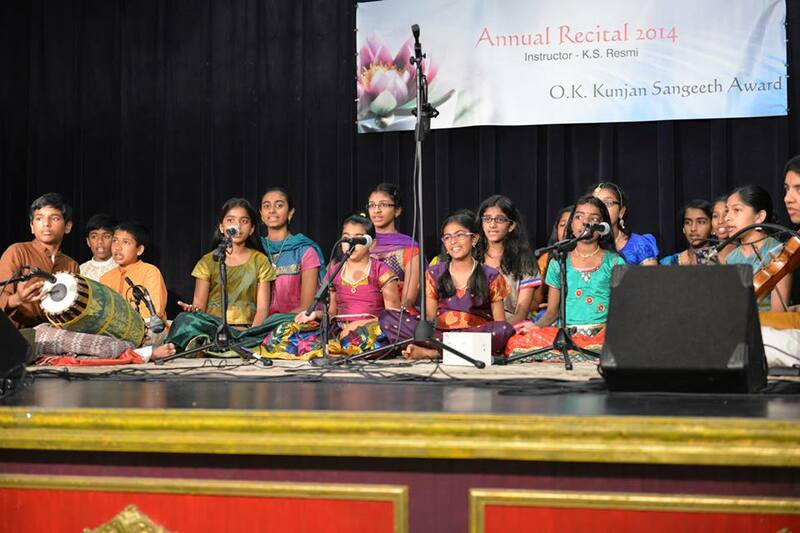 Resmi has pioneered the most effective online instruction program for Carnatic Vocal Music in the world. Online classes are perfect for those students not able to travel to my teaching studios in San Diego County in California and Baltimore County in Maryland, USA. Online classes are a convenient way to have your lessons in your own home at a day and time convenient for you. Students can choose from several online programs such as Skype, Yahoo, MSN, or FaceTime. All students receive written and audio materials to study for each lesson taught live online one to one in a private class with Resmi learning the authentic syllabus – the traditional step by step method passed down from her gurus in 35 years of study. This same traditional method was used by Resmi when she taught at the University of Madras in the Department of Indian Music as a full-time tenured faculty member. Resmi’s experience as a professional teacher AND performer guarantees results with students who do consistent practice. Lessons fees are paid by the month and can be sent by check in the mail or conveniently with online payment systems such as PayPal. All online students participate in online concerts. All students can participate in the Annual Day Award & Concert. NEW FOR 2014 – ONLINE GROUP CLASSES (Email me for more info). Some of K.S. 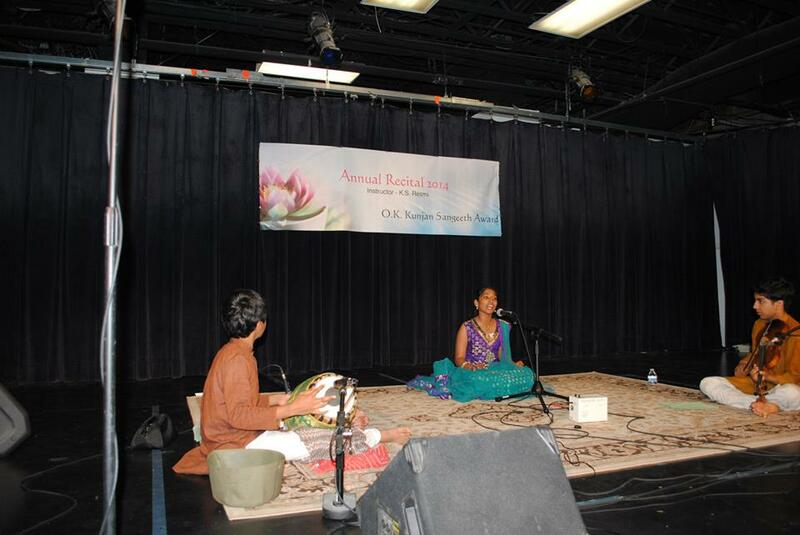 Resmi’s Online Carnatic Music School students performing in the Annual Day Recital and Competition, Murugan Temple of North America, Maryland, USA, June 2014. 2nd Prize Winner-Intermediate Level of the 2014 O.K. Kunjan Sangeeth Award = Chandrika Iyli accompanied by Kamalakiran Vinjamuri (violin) & Srikar Chittari (mridangam).